Van Egmond Cactus Substrate is a mixture based on different types of Sphagnum peat and a high percentage of Irish White peat Mulch. This Irish peat is added to ensure that the substrate has good moisture permeability, allowing the roots to have plenty of oxygen. This is very important to cacti as these generally grow in dry, sandy areas. A percentage of fertiliser was added to ensure that the cactus obtains the right nutrients. This potting substrate can also be used for succulents. 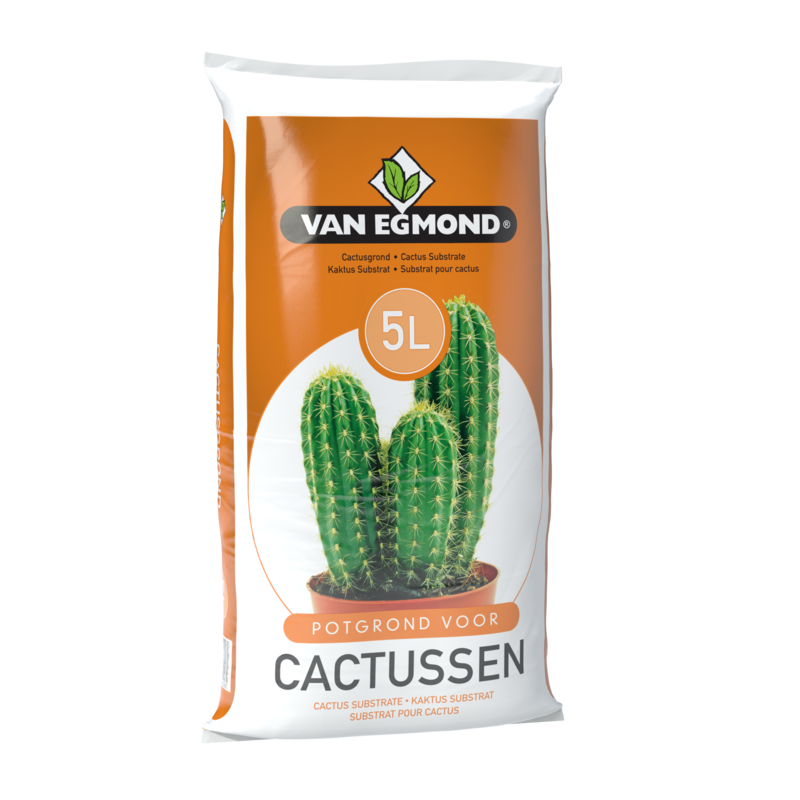 Van Egmond Cactus Substrate is available in packs of 5 litres. Order cactus substrate directly through our order form!